A murky sense of the unknown, the hidden. 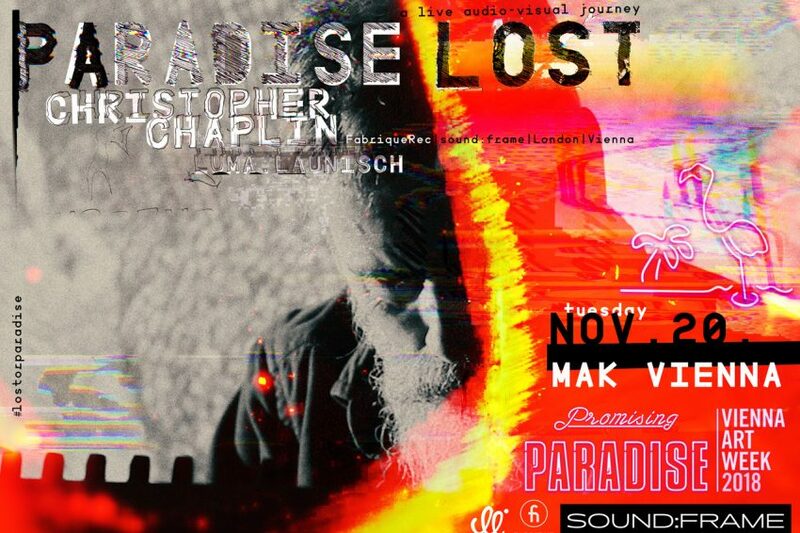 “‘Paradise Lost’ is the second album by London-based musician and composer Christopher Chaplin. Following ‘Je suis le Ténébreux’ (2016), ‘Paradise Lost’ condenses experimental electronics into a chamber music setting, once again transporting us to intermediate mental and spatiotemporal states. This album features the voices of Nathan Vale and Leslie Winer. Vale is a British tenor and reciter, who specializes in baroque singing. The US musician, poet and artist Winer is almost his counterpart: Jean-Paul Gaultier described her as the first androgynous model, and she has worked with Sinéad O’Connor, Grace Jones and Helmut Lang, among others. Whereas ‘Je suis le Ténébreux’ was an artistic interpretation of Gérard de Nerval’s poem of the same name, and of the “Enigma of Bologna”, Christopher Chaplin’s new album translates John Milton’s poem about the descent to hell of fallen angels into epic soundscapes. Nothing is clearly structured – instead we find ourselves in a dreamlike state of limbo. Moments of turbulence transform into musical states that collapse, roam through space, or grow into complex structures. It is a music of dark shimmering poetry that thrives on its own ambiguity (by Heinrich Deisl, 2018). For Christopher Chaplin’s solo live shows the music is echoed by the projections of visual artists Luma.Launisch. Finally they are bringing the show to Vienna. Earlier this year theyr were touring China (Shanghai, Beijing, Chengdu, Hangzhou) and presented Paradise Lost in Berlin and Poland.